Free POS software? In this economy? Getting anything for free sounds suspicious already, and given just how essential a POS, or “Point of Sale” system is for any size of business in the retail or food industry, it’s hard to believe you can get a dependable service for free. Is Free POS Software Really Free? 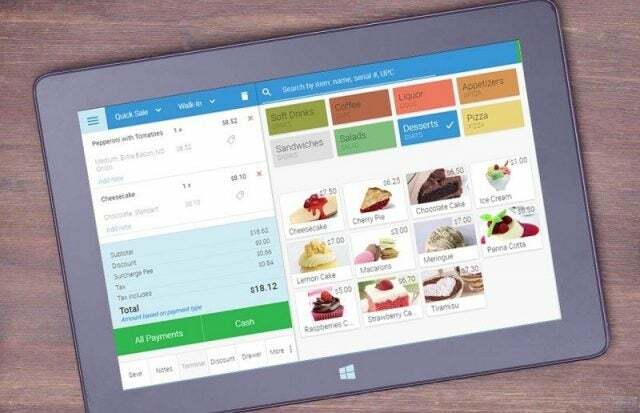 Most affordable POS systems on the market today are cloud-based. This means they are run by a company that hosts their software and licenses it out to businesses who then use it while connected to the internet. (If the internet goes out, most POS systems can operate offline temporarily, and synch back up once they’re online again). Since these systems tend to make their money on a subscription basis, some offer a free tier: It allows them to gain brand recognition, and it creates a broad customer base that might eventually move up to a paid subscription plan. It’s a “freemium” plan: Free, but with a premium option for those willing to reach for their wallets. Another type of “free” POS system is the type that takes a few percentage points of the revenue from each sale. While there’s no up-front cost, your monthly revenue will drop by around 2-3 percent. It’s not really free, but the price might be more acceptable for a small business that can’t depend on consistently meeting a budget. 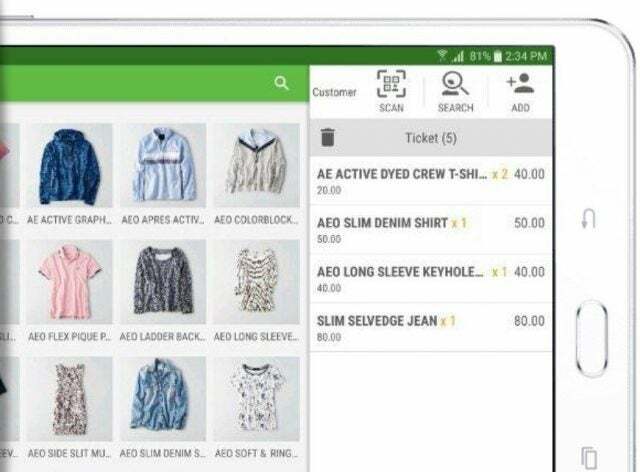 Other free POS systems include those offered by companies as a no-strings-attached loss leader to boost their brand name and encourage sales of POS hardware or add-ons, as well as open-source POS software, which is created and maintained by online volunteers but is often clunkier and may be outdated. Pro: Cost. Getting a small business off the ground is a harrowing process, and even the best operations can easily spend years in the red. Saving 50 to 100 dollars a month on a POS system can make a huge difference for a tiny business. Con: Hardware. While POS software can be free, no one’s giving away the hardware you’ll need. A tablet or smartphone may be the only essential hardware for a small operation, but card readers, iPad docks, or stand-alone touchscreen displays are all common POS hardware options, and will cost you. Con: Interfaces. Paid POS software always looks slick and feels intuitive. The interfaces on a free POS, however, can vary wildly. Some look like a text-based version of the old Oregon Trail game and others look like an early 2000s pop-up ad. Whichever you pick, you’ll have to stare at it day in and day out. Con: Limited Functionality. Free POS systems will track sales and inventory, but may not have any options for managing employees or offering loyalty programs. This isn’t necessarily a con, however, as many small businesses wouldn’t benefit enough from these extra features to make them truly cost-effective. Looking for the best deal? Compare custom POS System price quotes in just a few clicks. When it comes to picking out a free POS for your business, the main challenge is knowing which pros are definite musts and which cons are total dealbreakers. Luckily for you, we’ve rounded up the best free options, complete with lists of the main pros and cons that can help guide your decision. Scroll down for detailed reviews of each POS, or click on the names above to jump directly to the system you’re interested in. Square is one of the biggest names in POS, and the free version of their service comes with plenty of features. It tracks sales and inventory, logs customer purchase history and emails receipts. An analytics features lets users see their monthly or annual growth. The catch? They charge fees: 2.75% per card-based sale and 3.5% + 15¢ for manually keyed-in card payments. The Square POS can go toe-to-toe with any paid POS when it comes to high-quality features, intuitive interface, and strength of customer support. However, all those benefits come with a per-sale charge, making this the least “free” of any free POS. If you’re a small business in need of an end-to-end, feature-packed POS, Square is the cost-effective option. If you’re looking for a truly free option, keep scrolling. Vend, another big-name POS vendor, offers a higher quality POS than most free options. 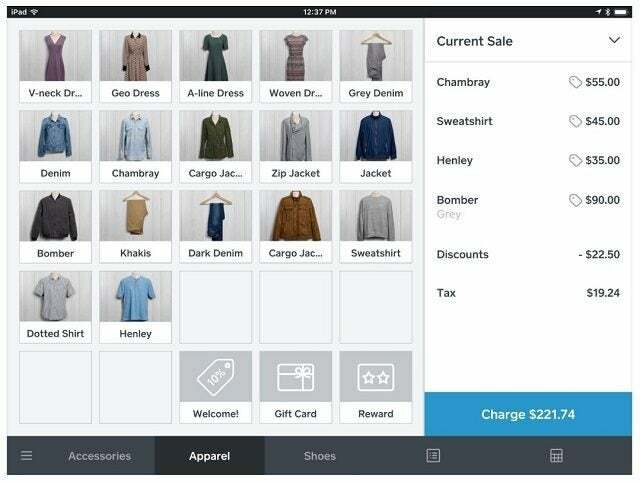 It supports third-party integrations, which is rare for a free POS: Shopify, Square and PayPal can all be connected. Sales management, inventory tracking, and personalized customer profiles are supported. However, the scope of your business must be very limited to use Vend for free: The free version offers just one register, allows just one user, only supports 10 active products, and allows 1,000 customers in total. This is a great POS: It looks nice, operates smoothly, has a strong set of features, and accepts any payments. Loyverse’s features are more wide-ranging than other free options: Sales, inventory and analytics are supported, and so are customer-retaining loyalty programs, discounts, and an offline mode. While the software plan doesn’t include a paid tier, it does allow add-on integrations that offer a broader functionality for the POS. For $5/month/employee, billed annually, you can add employee management options, and for $25/month/store, also billed annually, you can get advanced inventory options to better manage stock. The POS isn’t a freemium option, so it doesn’t have an incentive to withhold the good features in order to spur you to start paying. Instead, it offers a few add-ons, and even they come at a relatively inexpensive price point for the POS industry. This POS is recommended for small businesses that aim high: This is the only free POS to support multiple locations and offer detailed loyalty plans. 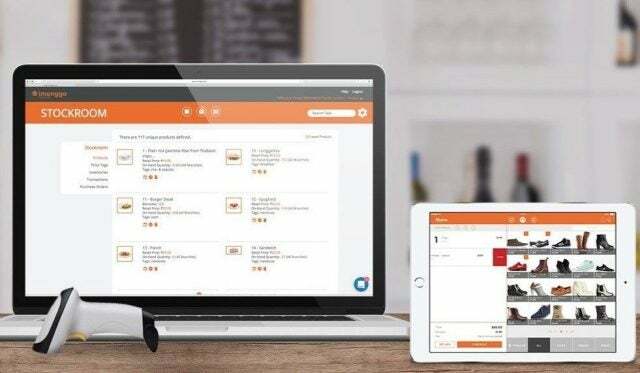 The installation and learning curve are easy for Imonggo, a free software that offers the basics (inventory and sales management) and a few useful extra features (loyalty options, offline mode). Customer support is also included for free. However, only one user at one location can use the free service, limiting its usefulness for businesses with multiple employees. Imonggo allows 1,000 products and 1,000 transactions a month, which will be enough for some types of small businesses and won’t be enough for others. You can upgrade starting at $30/month. Imonggo is recommended for small business owners who want a simple, easy-to-use service that covers the basics and then some. eHopper offers a range of basic features for free: Order tracking, inventory and customer management, bill splitting, tax management (assigning taxes to products, and allowing them to be included or excluded in the total price), reporting, and receipt emailing or printing. 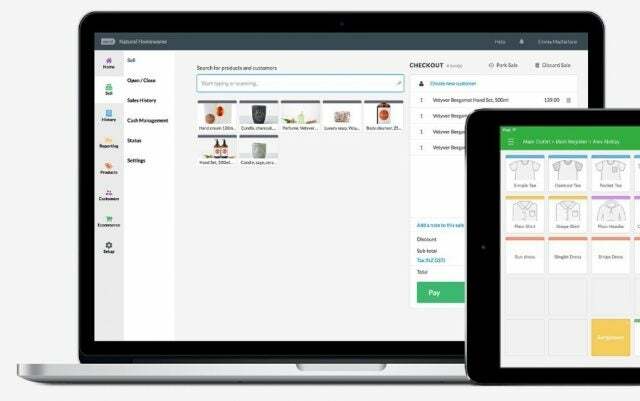 However, the interface isn’t great, you can only use one register, and without paying you’ll miss out on a few useful features such as QuickBooks integration, a way for employees to clock in, ingredient management, and alerts when stock is running low. If you run a single location such as a gas station, this may be a good fit. The one register cap is the toughest restriction, and there’s no similar cap on the number of products or customers. You’ll be able to run an entire store for free, as long as you never open a second register. However, there’s no email, phone, or chat support should anything go wrong. A paid tier starts at $39.99/register/month, and includes all the above features that are left out of the free tier, including training and support. Is a free POS system right for your business? It largely depends on the current size of your business and what you have planned for the future. If you run a farmer’s market stall or a roadside kiosk and have no plans to expand, a free open source POS is likely best for you. If you run a single location and hope to continue growing the business, you should consider a freemium option that you can eventually upgrade. Finally, if you need access to an expanded set of features and dependable tech support or training programs, you may want to consider a paid POS after all. If that’s the route you’re on, the next step is collecting quotes from the best POS vendors available today. TechCo’s simple form is a great way to get custom quotes with the least effort. Collect and compare quotes from a range of POS system providers in just a minute.